The M109 series became the hottest subject in late 2012. Besides the re-issue of the Italeri one, Kinetic had issued the M109A6 a couple of months before, and Riich will launch the M109A6 as well. AFV Club just released the M109A2 on the market a week ago, and I am very pleased to have this available for review. The M109 family is a self-propelled 155 mm howitzer, which is considered as the most common indirect-fire support weapon of its time. Although it has been replaced by more advanced systems in some countries (the British Army replaced its M109s with the AS-90 and some European countries replaced the M109s with the German PzH 2000). The latest model, M109A6 Paladin, remains the principal self-propelled howitzer in the U.S. army for the foreseeable future. I like the “BIG GUN” and the M109 is one of my favorites (the other one is M110). AFV Club chose the M109A2, I think, because the Taiwanese army is equipped with this variant (both A2 & A5, and to be upgraded to A6 in future). The kit is molded in olive green. Sprue A (there are two of these) contains the wheels (road, driver, and idler) and suspension system. The high light to this sprue is the torsion-bar suspension. 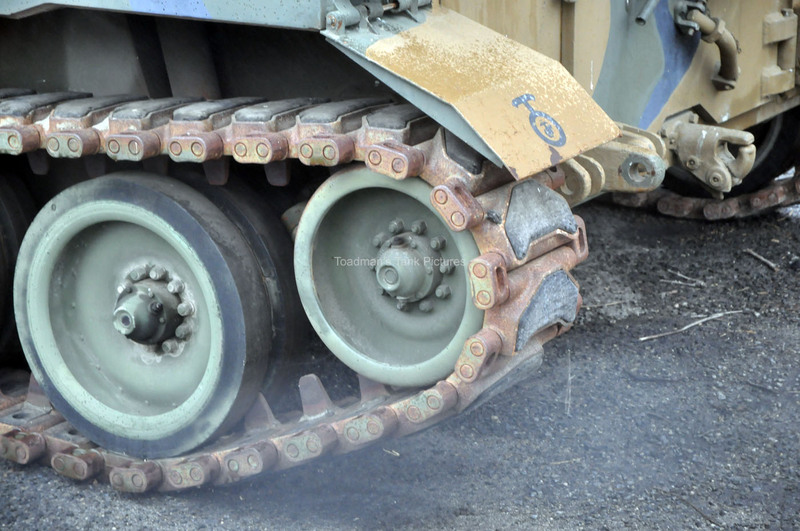 On the real vehicle, the rubber tire is wrapped to the steel wheel smoothly, in the model it has a clear step between the two, which I think is for facilitating the paint work. Sprue B (there are two of these) contains the detail pieces on the upper hull such as the front light, handles and shovel. Sprue C has other detail pieces on the upper hull such as hatches, engine intake and rear light. Sprue D consists of the rear section (chamber mostly) of the main gun and details of the gun bolt with its mount (a separate metal barrel is included). Sprue E is the main parts of upper hull. Sprue F consists of the main parts of the upper and lower hull. Sprue G is the clear pieces, which are collimator aiming device and the lens for lights and fire control telescope. Sprue H is the rubber part for gun mount cover. Sprue O is the main part of the turret. Sprue P (there are two of these) &Q are the detail parts on the turret which includes the hatches, ammo storage compartment and the tools attached to the turret, along with the main gun support mechanism. Sprue X is the parts of assembly for the .50 caliber M2 machine gun. Sprue Y consists of the additional M3 tripod for the .50 cal machine gun. 1. Torsion-bar suspension on the road wheels. 3. Operable bolt of the main gun. I didn't have the chance to compare the two latest M109 (AFV Club and Kinetic), but compared to the Italeri one, the AFV M109A2 has almost twice the amount of pieces. Like most of the models from AFV Club, it is designed for experienced modelers. When opening the instruction booklet, we immediately see how sophisticated it is. If you feel a lack of challenge on making the Italeri one then this is absolutely the one you should try. On the 3rd page, there are drawings to give an overview on the family of M109. I'm reminded that the Stryker kits have the similar drawings, maybe AFV Club will issue the other variants later just like Stryker. As usual the build starts from the lower hull and the wheel system. The workable torsion-bar suspension is the highlight of the model. As I mentioned above, the obvious step between rubber tire and steel wheel which does not faithfully replicate the real one, but the up side is that it is convenient for the modeler at the painting stage. The hull looks good with plenty of details. Lights, telescopes for driver and fire control are all provided with clear parts. The driver hatch, gun support, and shovel are operable. The turret also follows the same level of detail of the hull. The hatch for the commander and gunner are workable and the telescope of the fire control can be rotated. The most appreciated point of this model is the gun, not just with the metal barrel, but also with the recoil mechanism, and the gun, including the mount and bolt, are replicated nicely. 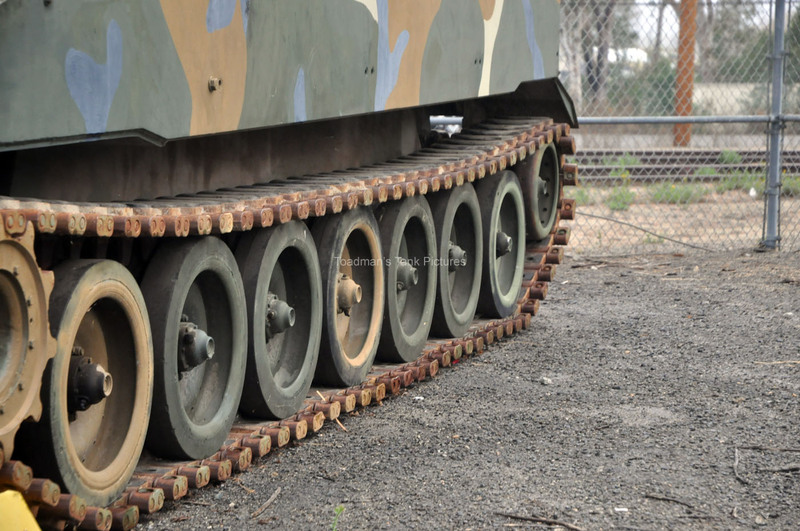 For the .50 caliber M2 machine gun, AFV Club did an excellent job on this item in the past. And this time it moves one step forward. There are two kinds of gun barrels with different muzzles that can be selected. The additional M3 tri-pod is provided for the modeler providing an alternative to display the gun. AFV did a great job on this kit. If you like the Stryker and Churchill they issued you will love this one, which keeps the same level of quality. It will be further appreciated if the interlink track is provided and workable with the suspension. It is definitely recommended. Highs: Nicely detailed, choice of M2 mg and display options. Metal barrel sweetens the deal. Lows: Wheel/tire combo not completely accurate. Copyright ©2019 text by Adam Tai [ ADAM4445 ]. All rights reserved. Not in the States just yet. Looks like a beautiful kit. I hope AFV Club does a stock M-109 and maybe even an M-108. Any info on the marking options? That's great news then. I really couldn't tell from the photos but I was hoping someone would finally get them right. So...How's that tire demarcation line? Is it too noticeable?